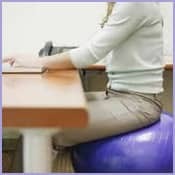 As we stand on the precipice of vacation season, we in the business world must make a commitment to ourselves to banish the dreaded professional staple that is “the working vacation.” Whether you work in a traditional office, virtual office, or executive suite, studies show that you are highly like to bring the office with you during your time off. According to Business News Daily, 66 percent of American professionals check their email while vacationing. Plus, 29 percent say they plan to attend meetings. This signals bad news for the state of work-life balance in the U.S.
About.com suggests evaluating your need to work during time off by asking yourself questions like “What is the benefit versus the cost?” and “How will it affect your family?” For a less introspective approach, we suggest considering CNN’s 5 ways to stop working on your vacation. 1. Don't keep your trip a secret! Although you might've mentioned your vacation once a few months ago, don't expect everybody to remember. As you make preparations for the trip, be sure to remind the appropriate people that you will be gone. Part of preparing for your trip is making sure that the people back at work can keep things running smoothly in your absence. In a journal, list your daily activities and responsibilities so that the people charged with filling in for you know what to expect and how to handle any tasks that come their way. If you have a job where you either absolutely must work or at least check in with your employer, designate a brief period of time for these tasks. Your friends or family vacationing with you don't want to share their relaxing trip with your laptop and cell phone, so keep the work to a minimum. If you're the boss, set an example for your team by going on vacations and leaving work behind. If others see you able to separate work from your personal life, they'll have a better attitude and be able to follow your lead. Keep in mind that a working vacation may have professional consequences in addition to forcing you to make personal compromises. People are often unfocused, rushed, and make errors when working during personal time. Also, accessing company information on an unprotected network outside of the office can compromise your business’ cyber security. Take heed of these tips and suggestions and banish the words “working vacation” from your vocabulary and life once and for all!